In-Q-Tel has made a strategic investment in StackRox to help the Mountain View, Calif.-based technology firm further develop a software platform designed to protect containerized applications from cyber threat actors. 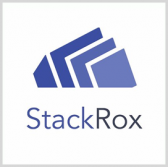 StackRox said Wednesday its Container Security Platform works to thwart malicious activities and ensure compliance of the container environment with security policies through the integration of a feedback loop. The platform is meant to help organizations respond to cyber threats through the use of machine learning techniques; reduce the cyber attack surface through the implementation of service-focused policies on cyber vulnerabilities; and profile risks through the use of container configuration and other metrics. “The StackRox platform uses a fundamentally different approach to secure containers across their life cycle, from build to runtime, which will help protect our Intelligence Community partners against emerging container-based threats,” said George Hoyem, managing partner of investments at IQT. Ali Golshan, StackRox CEO and cofounder, said the partnership with IQT would help the company deliver its platform to intelligence and government agencies that aim to secure their container environments.